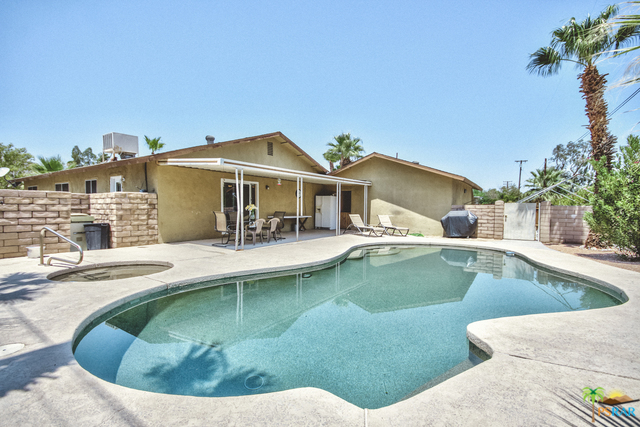 Pool Home On Corner Lot In Palm Springs! This charming 3 bedroom and 2 bathroom home is located in desirable Desert Park Estates neighborhood and sits on an over 11, 000 square foot lot. Home features a spacious living room, dining area plus kitchen. Master bedroom has it's own bathroom and walk in closet. Two additional guest bedrooms plus guest bathroom. Backyard has sparkling pool and spa along with covered area and plenty of decking. RV or boat parking on the side of home plus large storage shed with lighting. Home is centrally located and close to multiple grocery stores, shopping, dining, gas stations and a short drive from downtown Palm Springs. Call me today for an appointment to see this great home!